The distinction between individual and collective property has one fundamental point that is often presented in an unbalanced way, leading persons who deal with property in the Middle Ages to oppose one to the other in an exaggerated fashion. They present the two as if they were furious dogs ready to attack and destroy each other. To prevent this, they claim, the dogs must be restrained with strong chains to avoid a social catastrophe. Let me try to resolve this unbalanced presentation by analyzing what actually happened in the Middle Ages regarding this dichotomy between individual and social property. Man was created to exist in society, and society is formed for the benefit of men. Everything well-ordered in society comes from a previous good order inside man. There is no good social order unless we have men whose souls are well-ordered. When the souls are well ordered, a diversified, fecund and amiable type of social relations springs up spontaneously among men, without previous planning. When someone brings a flower close to his nose, he smells its flagrance; when someone approaches a society where everyone is Catholic, where evil and sin are rejected, he perceives its order and sniffs the perfume of its harmony. So it was in the Middle Ages. What actually happened in the Middle Ages regarding private property? Even though we are adepts of private property, we are obliged to recognize that there was a tendency then toward collective property. The typical man under the Roman Law was the exclusive owner of his land - even if it was a piece as small as a rug. Property was conceived as a kind of a two-sided parallelogram that extended from the surface of his land down to the center of earth as well as upward until it reached the sky. Everything inside that space belonged exclusively to him and, therefore, his right over the property was absolute. This was the idea of ownership of land, of private property, according to Roman Law. This was also the idea of private property that prevailed in the 19th century in the bourgeois regime that came from the French Revolution. But this was not the medieval idea of property. At that time there was a notion of property that was cumulative, that is, it belonged to several persons at the same time. This kind of property applied not only to land, but also to functions, charges, duties and offices; everything was cumulative. With this harmonic addition of duties and responsibilities, the social character of property was fulfilled. To understand the cumulative property of offices and functions, we can look at the role of the Hierarchy in the Catholic Church. The Pope is the Lord of the entire Church - he is the King, the Master of doctrine and the Inspirer of sanctification. Consequently, he has a direct jurisdiction over all and each one of the faithful. The Pope has a jurisdiction over the faithful that is not just indirect - through the Bishops - but also full and direct. He can condemn the errors of a book written by an individual in the smallest Diocese of Brazil or in the largest Archdiocese in Japan. He teaches the entire Church; he names Bishops for the whole world. Thus, he has full power over the whole Church. After affirming this so categorically, we need to consider some nuances. In local matters that do not concern the general interests of the Church or the preservation of Faith and Morals, the Pope should not intervene. If he intervenes, he makes a kind of usurpation of power, since local matters should be dealt with by the Bishop. The Bishop is the one with the local authority, the one who knows the local problems and resolves them the way he judges fit. If a Bishop thinks that his cathedral should be constructed in a certain part of the city but the Pope opines otherwise, the Bishop has the last word. The Pope may give a suggestion, but the final decision belongs to the Bishop. If the Pope were to intervene regularly in these local matters, he would nullify the role of the Episcopate in the Church. He would be a sort of usurper of the lesser power. Thus, the power of the Pope is cumulative; part of it belongs at the same time to the Bishops. It is a power exercised over the same men, but in different areas. We see something similar with the parish priest and the Bishop. There are certain areas where the parish priest has autonomous authority and the Bishop does not intervene. It is the same complex mechanism of cumulative authorities. These authorities are not merely individual. Because they are exercised cumulatively, they acquire a social aspect that balances their individual characteristic. This analysis allows us to see the supreme equilibrium of the Catholic Church, founded by Our Lord Jesus Christ and inspired and maintained by the Holy Ghost. In Brazil there is a form of property called emphyteusis that comes from the time we were a Colony of Portugal. It also exists in countries that were Colonies of Spain. Emphyteusis - long lease in Latin - is a type of property where the owner grants someone else almost the full rights of property, but keeps for himself some few rights. Therefore, he may maintain the right to receive a modest annual payment or the right to forbid certain things. For example, a person who made a grant of lands to another could forbid that immoral houses of entertainment and heretical temples be built on those lands. If the beneficiary were not to fulfill those clauses, he would lose the land and it would revert to the first owner. Also, if the beneficiary dies without heirs, the land reverts to the first owner. This kind of a contract is a remnant of the Middle Ages. It is still a medieval contract, a feudal contract. 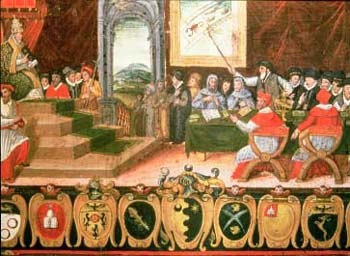 The contracts that linked the peasant to the lord and the noble to the king were of this genre. The relation between a count or duke and a king was similar to the one that exists today between a bishop and a pope. It was also similar to the contract of emphyteusis. The count was the beneficiary and the king the one who granted the land, but the latter conserved some rights. He did not grant the full rights of the property. What was the advantage of this system? We can see it in one example. 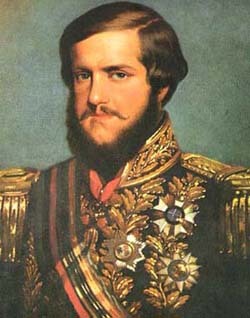 In Brazil, the Emperor Pedro II and his wife the Empress Teresa Cristina were the Lord and Lady of an enormous quantity of highland on the Serra do Mar, west of the city of Rio de Janeiro. At the time the population of Brazil was quite small, so they decided to invite German colonists to come to work those lands. The colonists arrived and entered into emphyteusis contracts, which made them almost full proprietors over those lands, but not with all the rights. The Monarchs divided that land into small farms and gave them to the colonists, but conserved the right to receive a small sum of money, to have the preference to purchase the land should a beneficiary want to sell it, and to forbid immoral houses from being installed in those areas. 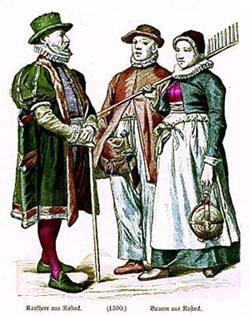 The result was a good sum of money to maintain the Royal Family - since the Monarchs would receive a large number of modest payments from the many small farmsteads – and a great advantage for the colonists, who in effect became the almost full owners of those very good lands. The area flourished with an extraordinary progress and two cities were named - Petropolis and Teresopolis - in honor of the two Monarchs. Everyone benefited from the system. 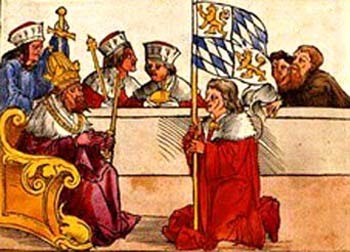 In the Middle Ages this kind of contract was made between the feudal lords and the king, and also between the peasants and the feudal lords. But there was another facet as well. 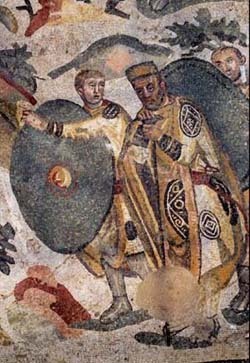 In addition to small payments to the lord, the vassal would make an act of allegiance each year to his superior, which was a symbolic act of vassalage. I remember a Convent in Germany that was the beneficiary of a feudal contract of this kind and, as clauses of that contract, each year at Easter, Christmas and another feast – I don’t recall which one – a large cake made from a certain specified recipe for which the Convent was well known had to be sent to the Lord. It also was stipulated that the Convent had to send its Lord - I don’t know the particular reason for this - three fish caught in the river that flowed on its lands and three roses from its garden. Every year the Convent sent a group of peasants dressed in their regional garb to the Lord’s castle to bring him these tributes of homage from the nuns. Since the nuns could not leave the Convent for religious reasons, they sent the peasants as their representatives. It was a symbolic submission that re-affirmed the hierarchical character of this relationship. This is an example of feudalism and cumulative property. Of course, the prerequisites of cumulative property were honesty, mutual esteem and the Catholic spirit. This is the system that ruled Europe until the French Revolution. The feudal lord had more responsibilities toward the king than the plebeian toward his lord. Should the king face some threat or danger, the feudal lord had the obligation to come to his assistance with his personal knights, as well as a certain number of peasants and plebeians, depending on the terms of the contract. Let us suppose a baron had agreed to send five armed knights and 25 capable infantry peasants and plebeians, which in the contracts were called simply ‘25 spears.’ The feudal lord was obliged to bring these men to the king’s aid, as well as to arm and feed them during the whole time the king was in danger. He was also obliged to give counsel to the king when needed, which meant that he had to travel to the king’s castle and remain there during the period when all the nobles met. Here again we see the application of the terms of cumulative property. The feudal lord did not have the full ownership of his lands; rather, those lands were granted to him and his family by his superior, the king, with certain stipulations. Today it is difficult to understand this system because of the long distance between us and the social order that created it. But I tend to think that cumulative property is the perfect form of relationship between individual and social property, even though I admit that different harmonic forms may sprout in the future. This is what feudalism actually was, with the good it produced, which was quite different from the revolutionary lies and defamations. Atila S. Guimarães selected excerpts of these lectures and conversations from the transcripts of tapes and his own personal notes. He translated and adapted them into articles for the TIA website. In these texts fidelity to the original ideas and words is kept as much as possible. Does Authority Represent God or the Sovereign People?